A friend of mine was recently in Germany for his brother’s wedding and brought back a copy of a magazine called “hobby” (the magazine of technology) from 1961 which had this ad. 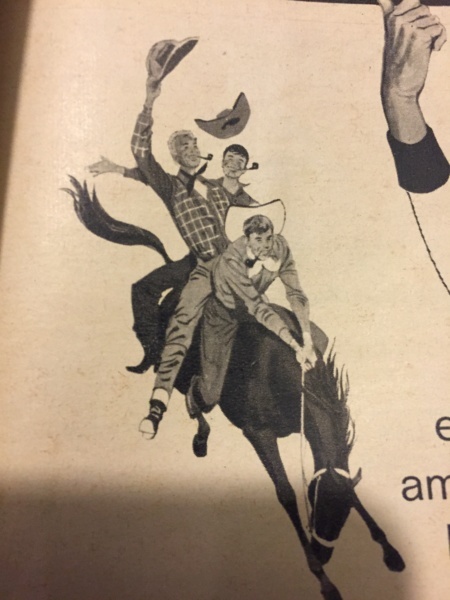 I got a laugh out of the three cowboys riding a bronco while smoking pipes. Artistic license...or they're using Softy Bits. Ha! I've never seen Kansas Mixture here in Kansas but I think I saw those three guys hanging around the QuikTrip yesterday.. 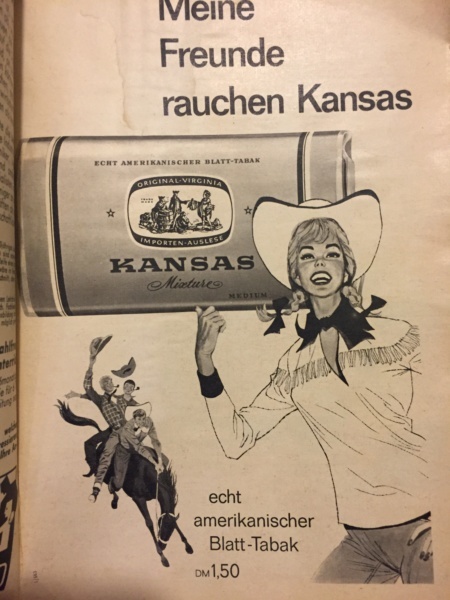 I used to shovel a lot of Kansas mixture, especially when the cows got out! Love the ad. Can't see that flying in today's uber pc environment though. Some of those pictured look downright young! Love that ad. Germans have a thing for the old west. At least they used to. I visited a German family decades ago and when I went into their daughters room she had a lifesize poster of "Little Joe" from the series Bonanza on her wall. I'll never forget that.